Gwadar Central Housing Scheme is spread over an area of 117 acres of land. It is one of the few legal housing schemes operating in Gwadar and it has obtained NOC#: 24/05/HS/GDA from Gwadar Development Authority. 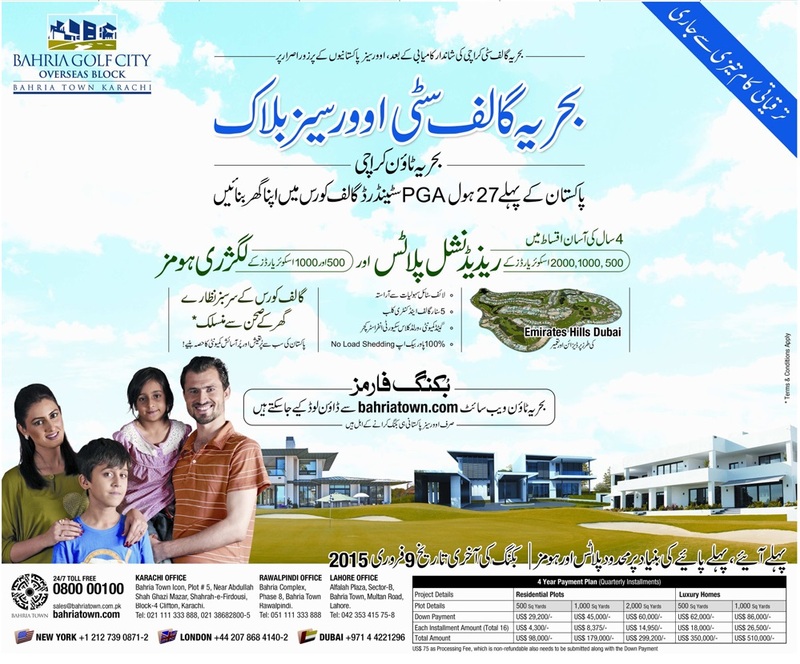 Residential and commercial plots are available on easy installments on first come first served basis. Balloting of plots has been done already on 7th December 2017. Society layout map has also been released with plot numbers. Gwadar Central Housing Scheme is ideally located in category “A” of Gwadar Master Plan which ensures preferential development and premium real estate in the port city. It is located at the junction of three main arteries of Gwadar i.e. Coastal Highway, Sarawan Avenue & Buleda Avenue. Considering the location in the map above, it seems to be literally the central point of Gwadar with promising future. The Gwadar Central has reserved centrally located space for school and other educational institutions and it is already in contact with top institutions to open their branches in the housing scheme. It has planned a centrally located hospital with state-of-the-art facilities for the residents of the society. Ample spaces have been reserved for parks and playground to ensure healthy and idyllic setting. A Grand Jamia Masjid is planned for religious activities of the residents. The society will feature shopping arcade, restaurants, cinema halls, and indoor play areas for kids and adults. Following the modern concept of housing development, a community club for the get-together of families and a sport complex for the physical fitness and recreational activities of the residents is planned in the society. Hi-tech security protocols and surveillance systems will be in place to ensure that the residents of The Gwadar Central live in a secure environment with peace of mind. 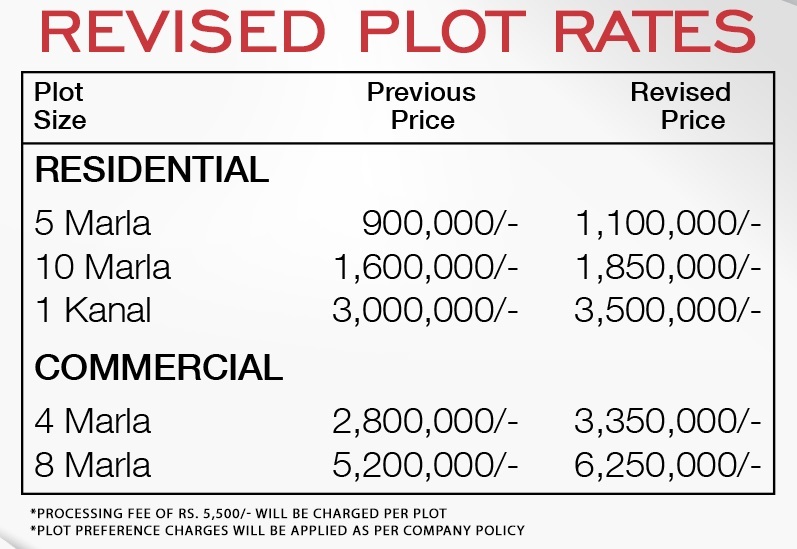 The Gwadar Central offers different sizes of residential and commercial plots with a flexible payment plan of 2 years. 5 marla, 10 marla and 1 kanal residential plots, as well as 4 marla and 8 marla commercial plots are available for booking on first come first served basis. Booking starts from 20% down payment, while remaining amount is payable in 24 equal monthly or 8 equal quarterly installments. Please note that the society has recently revised its plot prices after the international exhibition jointly organized by China and Pakistan to showcase the significance of Gwadar Port. You can check with the developers if they still offer old booking prices for a certain period. 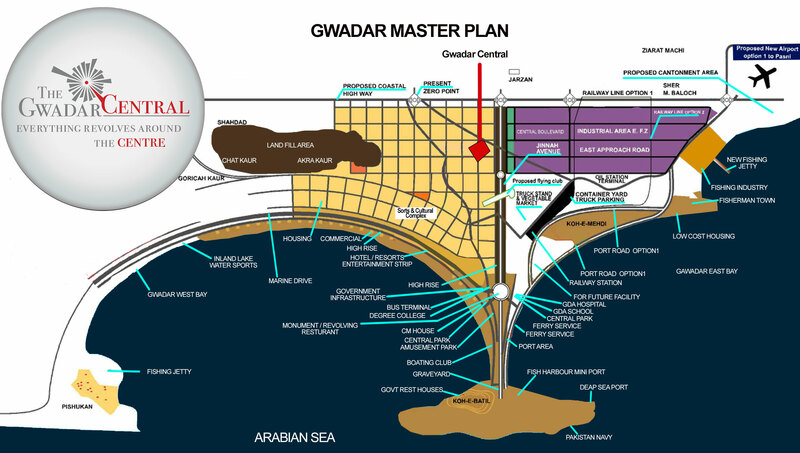 Since balloting has been done already, the layout map of The Gwadar Central is available now with plot numbers. As you can see in the map above, the society is divided into 5 blocks i.e. A,B,C,D and E. Reserved space for amenities is visible, and also the location of commercial plots. A central business district is planned at the juncture of three main structural roads of Gwadar namely; Coastal Highway (280 feet wide), Buleda Avenue (150 Feet), and Sarawan avenue (150 Feet). This business district will comprise high-rise commercial buildings, apartment complexes and shopping centers that will help people establish their businesses in Gwadar at central location. High Rise apartments will be built at affordable prices to serve the residential needs of future population. Luxury villas will be built around the commercial district for those who prefer a luxurious lifestyle.